Education has always been a hallmark of Jewish life. Traditionally, the pursuit of learning in Judaism continues to take place well beyond the age when mandatory formal schooling has been completed. This is why we offer inquisitive adults the opportunity to make learning a lifelong venture and an integral part of their value system both at home and in the classroom. Regardless of your religious affiliation, past experience, or current viewpoints, we invite you to join a rapidly growing number of Jewish adults who have found a welcoming and comfortable place to stretch their brains, speak their minds, and gain a deeper understanding of their Jewish souls. Broaden your Jewish Knowledge! There's no end to learning! 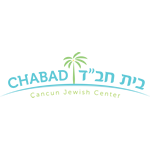 Send us an email at rabbi@JewishCancun.com and we'll get back to you right away. We're looking forward to learning with you!